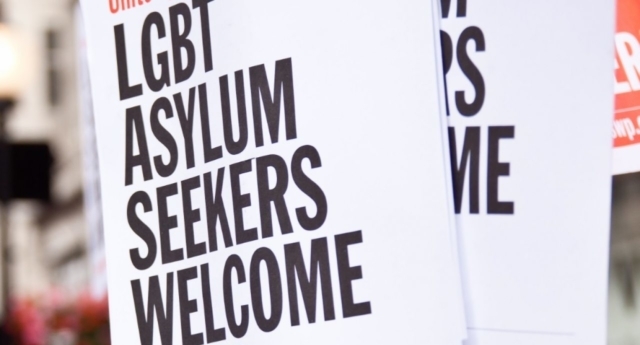 A leading lesbian, gay, bisexual, and transgender refugee organisation is rallying to ask Canada to invite more LGBT+ asylum seekers into the country. Rainbow Railroad, an organisation in Canada, saved the lives of 206 LGBT+ asylum claimants in 2017. After working with some of the most vulnerable claimants on record, the charity wants the Canadian government to step up and save more lives. “It’s fitting that World Refugee Day falls during Pride Month,” said Rainbow Road executive director Kimahli Powell. Rainbow Railroad has helped 450 LGBTQI people in dangerous situations find safety since it was founded in 2006. “This is a chance to put the spotlight on the global refugee crisis, and remember that LGBTQI refugees are particularly vulnerable to violence and abuse,” said Powell in a statement. In 72 countries, queer and trans people can face criminal charges under colonial-era anti-gay laws that can result in life in prison, according to ILGA’s 2017 report. As the case of Bruce McArthur proves, the spotlight is on Canada to provide as much support and safety for refugees as possible. The suspected serial killer was said to have targeted vulnerable asylum claimants who had moved over to the country to start a new life. Queer Sri Lankan asylum claimant Skandaraj Navaratnam, gay Aghanistani Majeed Kayhan and gay Turkish man Selim Esen are just a few of the LGBT+ men allegedly targeted by McArthur. Bisexual asylum applicants also face particular difficulties in securing residency in the nation. Researcher Sean Rehagg found that bisexual applicants made up 7 percent of the claims, and the success rate of bisexual applicants was 25 percent, while LGBT+ applicants that identified other than bisexual had a 49 percent success rate.